The Duke brothers are up to no good in Funko Pop Trading Places. However, Billy Ray Valentine and Louis Winthorpe III get the best of Randolph and Mortimer Duke once more, which is made clear in the Pop! Movies line. A 1980s comedy classic, Trading Places is based around a role reversal for Louis (Dan Aykroyd) and Billy Ray (Eddie Murphy). Both see extreme highs and lows and the Funko Pop Trading Places set does a good job capturing each at their best and worst. 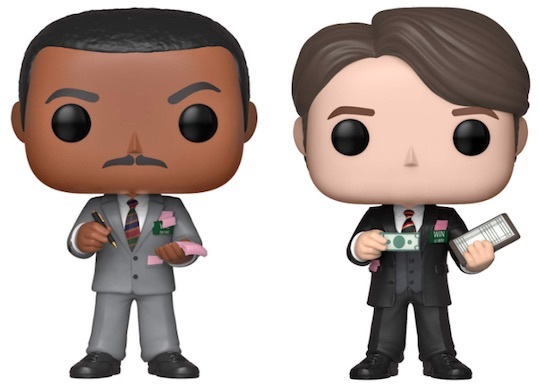 Shop Funko Trading Places Figures on Amazon. 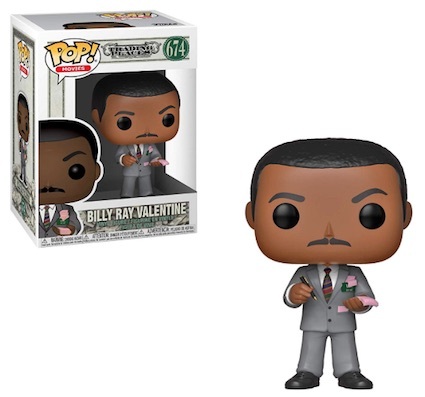 Up first, Billy Ray Valentine is dressed to impress with a tailored suit and pen in hand. On the other hand, Special Agent Orange (aka Billy Ray) has seen better days since his stint in Vietnam. Of course, Louis Winthorpe III comes in a suit to match his refined life. Things get a little more dire with Santa Louis and an even rougher version of Louis, which is exclusive to Target. 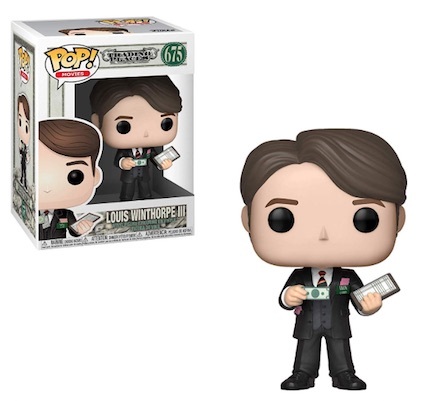 Beyond the lack of figures for the Dukes, Funko Pop Trading Places collectors will have to wait and see if Louis' girlfriend, Ophelia (played by Jamie Lee Curtis), and Coleman the butler (Denholm Elliott) eventually make the cut. Those looking for more figures can check out Coming to America for Murphy and Ghostbusters for Aykroyd. 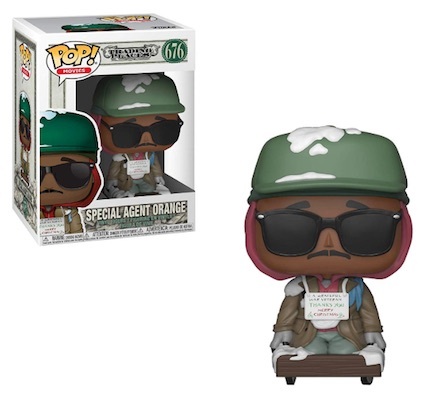 Funko Pop Trading Places - Special Agent Orange Pop! Vinyl. In Stock! 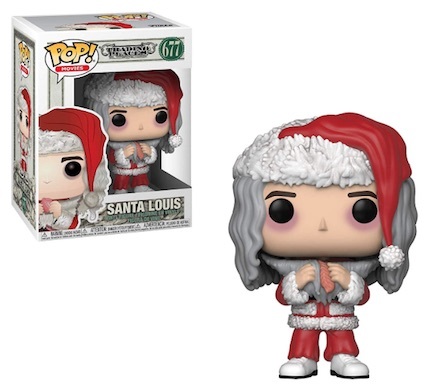 Funko -Trading Places - Santa Louis Pop! Vinyl. In Stock and Ready to Ship! Funko Pop Trading Places COMPLETE SET!!! 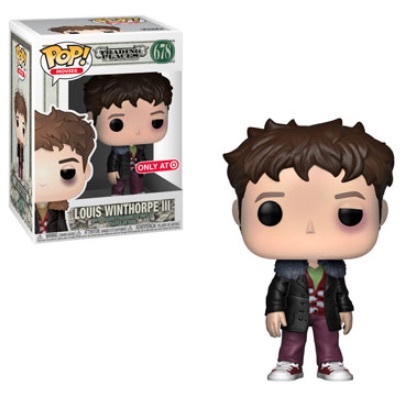 with Louis Winthorpe Target EXCLUSIVE! !